If you are looking for what to sell at a flea market Wholesale Interiors is proud to supply merchandise to flea market merchants in two forms: new flea market merchandise in the box merchandise and return / open box flea market items. 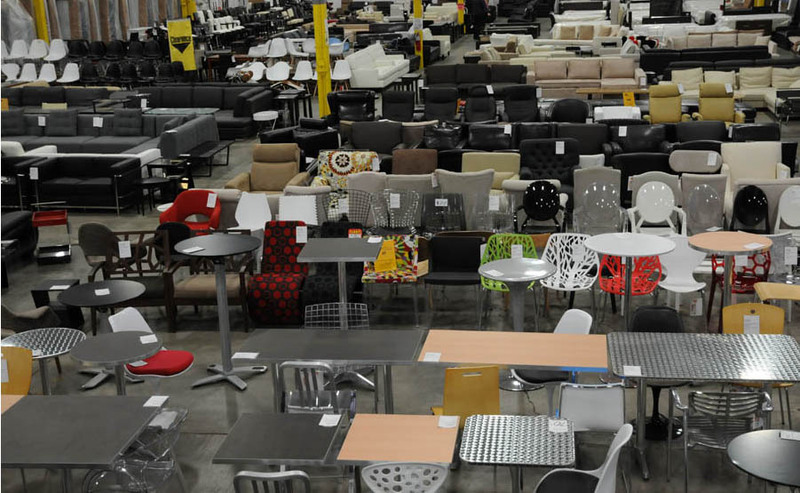 Wholesale Interiors has over 1500 different furniture products located at 971 Supreme Drive. Bensenville, IL, 60106. We also have more than 100,000 individual items in stock that we wholesale for flea markets at any moment. If you have a favorite item, you have the potential of buying 100s at a single time. None! If you are interested in purchasing single items or pallets of merchandise we can accommodate your order. You can also purchase bulk flea market lots. We offer delivery service around Chicago with our own trucks. Outside a 40 minute area we can arrange fright pick ups with local freight carriers. For new merchandise we accept cash and credit cards. For returned merchandise we only accept cash. With a valid resellers tax certificate and business license (which MUST be present) there is no sales tax. If you do not have a sales tax certificate sales tax will be collect with each order. Wholesale Interiors has been at the forefront of flea market products since 2002. We have innovated flea market ideas such as tables, chairs and kitchen racks at prices that move. We have added ottomans in 2012 to our flea market supplies list of wholesale items to sell. Wholesale Interiors started serving the largest flea market on line, EBay in 2003 and we have written guides on how to sell at a flea market. We aim to be one of the most respected wholesale vendors and flea market vendors in the furniture industry. We have frequently been asked what to sell at flea markets and where to buy wholesale items. If you are trying to purchase flea market items to sell wholesale we recommend searching your local flea market and jotting down prices and comparing them to our wholesale prices. The best flea market items might not be the highest margin but may move the most volume. If you can develop many flea market products wholesale you may be able to take advantage of seasonality by purchasing Christmas Trees for cheap in January and then storing them until next Christmas and selling for a higher margin.